Studies show that children who are constantly praised do not succeed more than those who are not. In fact these kids become risk-averse. This means they haven’t developed a strategy for handling failure. Skipping or delaying vaccines puts a young child at risk for serious diseases. Childhood is a time in life when these illnesses are the most dangerous. Take some time and read aloud with your child. It is a great way to spend some quality time together and creates excitement about reading. Have reading time become a part of the family’s daily routine. The daily routine includes taking a shower, brushing your teeth, and eating dinner. Why not build reading time into the daily schedule so it is a daily routine? Lead by example. Model for your children how enjoyable reading can be. Let them see you read every day. If they see it is an important part of your life, it will become an important part of their life too. If your child absolutely hates reading and wants nothing to do with a book, talk to the children’s room librarian at your local library. They will know of the most popular books and will give you lots of suggestions. They will know all of the “cool” books that kids can not get enough of as well as books designed for students reading below grade level. 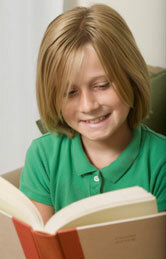 Have your child choose books that they can read successfully on their own. Don’t let your child choose what they would like to read if it is way above their reading level. They will end up skipping over words or sections and not comprehend what they are reading. They will eventually give up and use this as a reason to support their opinion that reading is boring. If books are chosen that they struggle to read, they will lose interest in reading altogether. Allow your children to choose books about topics they are truly interested in.